Pheasant raised without antibiotics or hormones on a small farm in New Jersey, where the birds live in spacious netted fields. This allows them free-flight, natural behaviors and the ability to forage in tall grasses to supplement their grain diet. Our pheasant is the ring-necked pheasant breed, less common than the more widely farmed Milan-white breed. 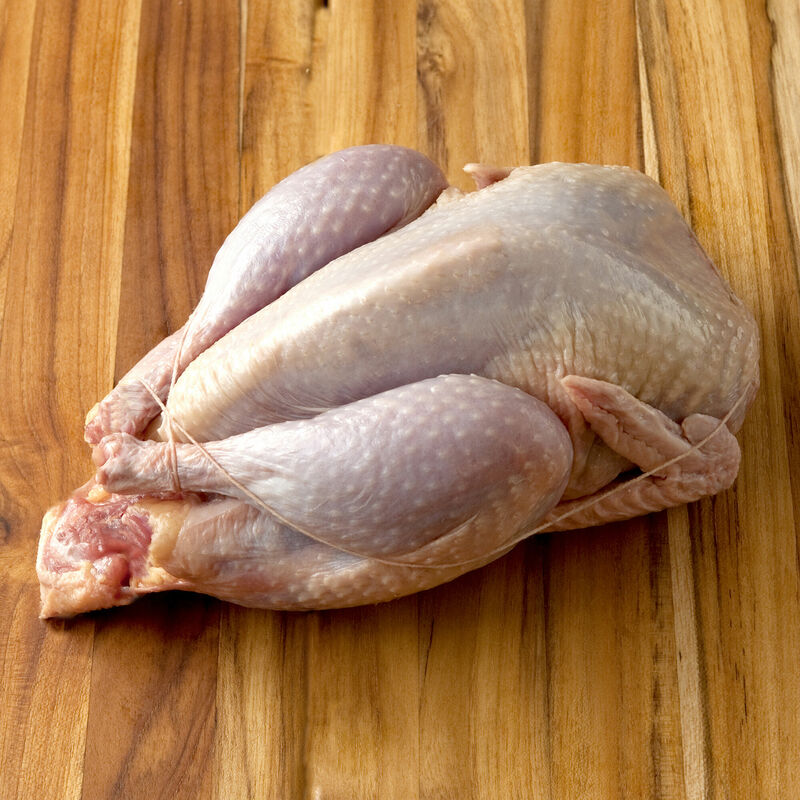 Pheasant is the most popular- and approachable - type of game bird, with lean and flavorful meat. Our small New Jersey farm raises old breed ring-necked pheasants, not bland Milan-white breed birds, like most commercial pheasant farms. A unique environment provides the birds with free-flight conditions; large netted fields protect the pheasants from predators while allowing their natural behaviors, including foraging in tall grasses. To supplement the forage, they are fed a clean grain diet, free of any hormones, antibiotics and animal by-products. The pheasants are raised to an average age of 22 weeks and are processed by hand, on the farm for quality and freshness.